Amazon online store is one the largest and trusted online shopping site in the world with several interesting departmental stores online where one can actually make secure purchases online and have bought items delivered safely to your doorstep here in Nigeria. It seem to be a bit wonder to so many Nigerians. I have received lots of requests, mails and friendship chats asking me on "how is that possible legitimately?" 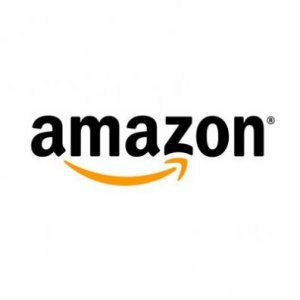 The fact is, anyone can buy from Amazon departmental stores but there are some destination delivery restrictions of certain items to certain countries for reasons best known to them. How Can I Buy Goods on Amazon and Have Them Shipped To My Doorstep In Nigeria? Firstly, you can only buy books, gift cards, and flowers from Amazon, have them shipped directly by Amazon to Nigeria with any of the locally issued debit card information by any of the Nigerian banks. Take note, you don't need to change your Nigeria IP address, Amazon 100% accepts Nigerians online both to sell and to buy goods at their platform. Secondly, to buy anything on Amazon like mobile phones, electronics, including automobile etc and have any shipped to your doorstep here in Nigeria, two things are basically involved. 1. You'll need to have a valid US physical address to use as a shipping address; may be a physical address of a friend, business partner or relative living in the US because some merchants wouldn't ship outside the US. He or She can send received item to you here in Nigeria. 2. Acquiring a US Virtual address - You'll need to sign up with a performing forwarding address company in US, there could be free ones, but I don't just like free things at certain sensitive matters. I personally use a paid one for over three years now to receive my purchased items on Amazon without any funny stories whatsoever. The valid US suite number, address and number provided by the US Virtual Office Address company will serve as the shipping address...The also provide you with a tracking system with chosen courier service under their platform(DHL or FEDEX) to track your goods on transit till the get to your doorstep here in Nigeria. This is 100% legitimate, and you can't mess around it because during setup and verification with MyUs.com, your real ID and source of payment will be confirmed. Below are screen shots of my recently purchased items amongst others on Amazon store, already delivered to me here in Nigeria. Get any of Nigerian banks issued card [Verve, Master or Visa], GTBank and Zenith rock good for me. Open or sign up for an Amazon account, it's free! In your account settings, use your regular Nigerian address for profile, update payment/billing segment with your card information like your Names, card numbers, expiring date, CVV( last three numbers written at the back of your ATM card) and billing address on your ATM card account. Please ask your bank for more information on that. 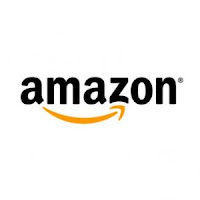 Use the given US address and number obtained from MyUS.com to update your shipping address with Amazon account. Once a purchase is made after updating of your Amazon account with the required information, Amazon will send item to your given shipping address in US, MyUs will finally weigh received items on your behalf(your given US Suite number) and bill you for the shipping to your choice of destination including Nigeria via DHL or FEDEX. Watch out for when Amazon will be offering discounts and rebate pricing, this could happen at special times and seasons of the year especially Mothers Day, Easter, Christmas, New Year Eve, or festive times, Black Friday or Cyber Monday( a Friday before the thanksgiving or Monday after thanksgiving), at such times, you could get 50 to 70% OFF on price tags. To successfully make purchase on any merchant site in the world where Nigeria is listed among others, I encourage you to have your card activated for online purchases via a given VISA/MASTER card secure link by your bank or have that done if you're subscribed to Internet banking. "This is the core reason when not done, your card might not work on major sites like Amazon and the likes though Nigeria may be listed." You can actually make good profits buying goods at cheap prices and reselling them to friends, colleagues, and relatives here in Nigeria like Laptops, Digital cameras, Electronics, Mobile Phones, Toys, Games, Clothing, Accessories, Books, Wrist Watches, jewelries...just name it. I legitimately enjoy shopping online and making good profits doing same, anyone can! Feel free to leave comments or share with us your own experience on the comment box. The same process is applicable to buying online on other merchant sites that do enlist Nigeria for card billing information but do not ship outside the US. I think that this is a good information for every body who lives in Nigeria. Actually everybody who buy things online have several questions in his mind about like shipping charges percentage, payment etc. This is a very informative guide. Thanks for sharing. Hi Kelvin, someone who has no friend or relative living in the US to receive ordered items from Amazon stores can have them delivered to Nigeria via subscribing to "US virtual address" provider like the above mentioned company "MyUs." All you have to do is to click at the MyUS.com banner above to get registered and verified with them, use your given US address for your amazon account as your "shipping address." Amazon will only send your ordered items to your given US address, and MyUs will send items to you in Nigeria or any other choice of destination for an affordable International shipping fee. Hi Andrew , thanks for the great info. someone told me some time ago that the shipping fee for myus.com is ridiculously high. He wanted to order a 14 inch laptop and the shipping fee was about N15,000, how do you manage to make profit with that? It should be around $60 which is approximately 9K-10K in Naira if you choose fast(3-5days) and safe delivery of DHL. You may also choose a regular post delivery which is slightly cheaper and that takes upto 21days delivery or more. Hi Anonymous, please make sure you read and digest the above blog post as it contains the guideline to get started. Truly, you can legitimately order any Amazon product(s) from any state in Nigeria. You're welcome. hi Andrew, please how authentic is this myus and are their charges affordable. A friend of mine was a victim of a fake virtual address and im just skeptical now. MyUS is #1 rated package forwarding company in the world since 1997 based in Sarasota, Florida USA, and have bagged several International awards on best performance supporting over 220 countries. Their shipping rates are affordable considering safety delivery; you can also use the shipping calculator on their website homepage to determine the cost of shipping your package to Nigeria. MyUs uses DHL as their shipping courier that takes 3-4 days after shipment cost is deducted from your account. You guys are paying too much money. Shippyme.com is the bomb. They don't use DHL but they are fast and very affordable. They give you the US address upon registration and it is free. Thanks for the witness, pretty good set of business people. I'm just waiting patiently for 2013 end of the year "Black Friday" and "Cyber Monday" deals on Amazon stores and a few other reliable online stores. Can you imagine the 40% - 70% OFF price tags...rare online shopping opportunity one wouldn't want to miss. No, you do not need a US address for buying and downloading songs, videos, e-books or any info products on Amazon store. Thanks for this great information, it is educating and worth being grateful for but I still have some reservations quite distinct from the others. I leave in Canada and I've been buying stuff from Amazon stores but this time a friend of mine which to buy from Amazon using his first bank verve debit card and have it sent to my address here in Canada and the major challenges is will amazon accept or honor the verve debit card and how is the foreign exchange rate conducted.? keep me apprised on this gray areas. Once again thanks for this great job. @ekpege, you're welcome. Major debit cards like Master and Visa either Naira or Dollar denominated are accepted by Amazon but Verve debit card might not go through with the billing system because it is not listed on the payment by credit/debit card secured page of most foreign merchant websites like Amazon store. The exchange rate is same Internationally and processed automatically. Many at times I use Xe.com to determine International exchange rates before making most purchases. Pls Andrew, I want to be clear about this. I have a GTbank naira mastercard for my savings account. Are you saying with this mastercard I can buy books directly from amazon as long as I have enough cash in naira in my account without having to register it anywhere. Pls kindly enlighten me. Thks. Yes, you can use your GTBank Naira Mastercard of your savings account to buy books or anything directly from Amazon store; take note that your card billing address would be the address you used for your account opening. If you're having any challenge getting through with the card payment, call or visit your bank to confirm your "card activation" status for online transactions from GTConnect and Card services division of GTBank or talk to your account officer. hw can I pick up my package at their office myself? You can pick up your package from the nearest DHL's office covering your location, along with your transaction details including the (DHL Tracking Numbers) and your driver's license ID card as proof of identity. I've used A2 Global Shipping located in Michigan. They shipped my package within 5-7 days and their rate is $4.25 / lb. When you sign up for an account in air-lagos.com, you can monitor the movement of your packages from receipt in their warehouse in the US up to arrival in Lagos, Nigeria. MyUs has a one time setup fee of USD10 for a standard membership, and the premium account or thereabout. You can get to know more on the "join now" page via the homepage. which account is better...10dollars or 60 dollars? If you're a heavy or bulky shopper, $60 one time premium account will serve you better on reduced charges for shipping and handling with other benefits. As a regular shopper and for receiving mails sent to my US virtual office address, I signed up with the $10 one time setup fee. Can you please elaborate on the direct shipment to Nigeria for items such as cd's laptops, clothing materials etc.